The last quilt of my ombre trio (inspiration here) is done (Pinkscape is here, Greenscape is here). 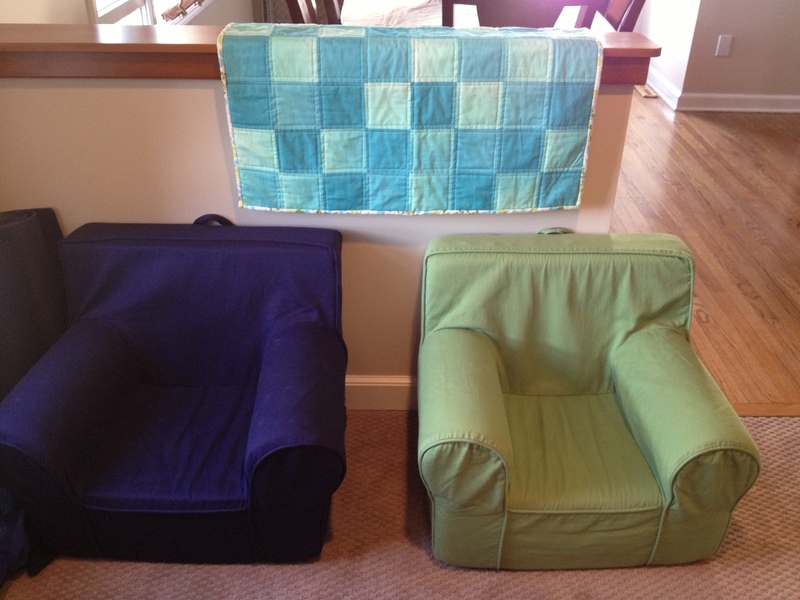 Pinkscape and Greenscape were each free motion quilted, so Bluescape got a little straight-line love. I love the way the grid lines look on the back. I also love this quilt helper. I did a French binding with hand-stitching on the back instead of machine binding. I had been machine binding a lot, so it was really good to practice my hand work. 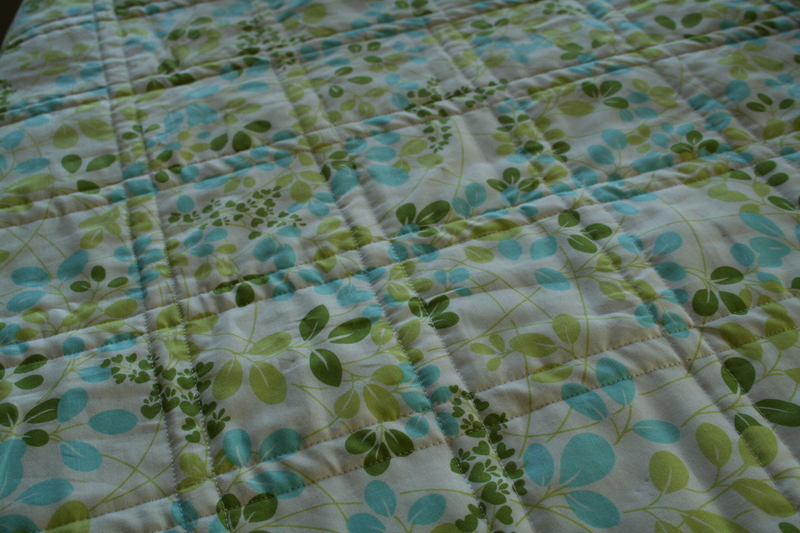 This binding is much sturdier than my first quilts. 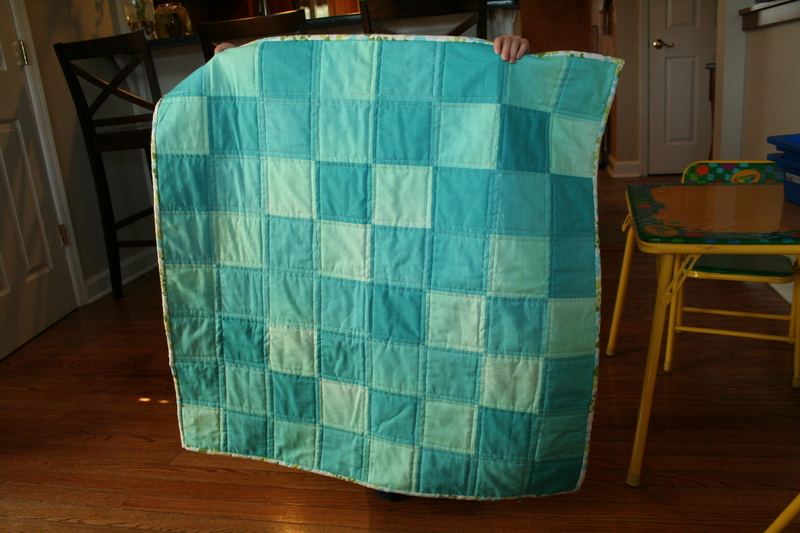 This quilt was made differently for a very exciting reason. 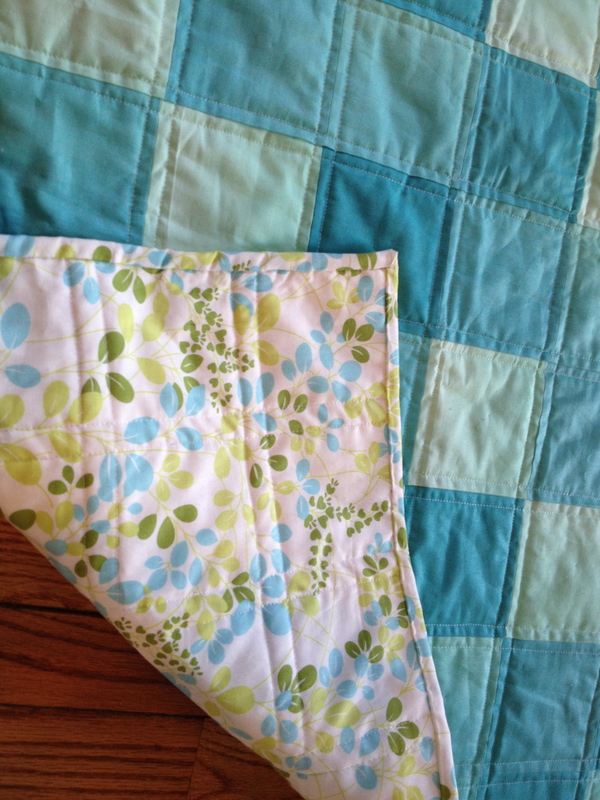 It’s a sample for a Quilting Basics class I’ll be teaching at Rock Paper Scissors on Mondays in April and May. 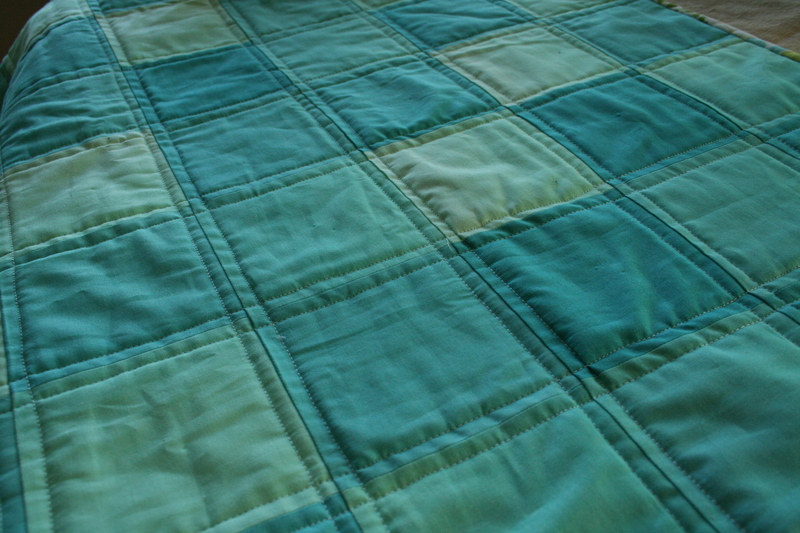 We’ll work on rotary cutting, piecing, straight-line quilting and binding. I took lots of notes while making this one so that I’d remember to share all of my tips. The very second that sign up is available I’ll let you know. I love your model. I can see he takes his work seriously. He’s cheap too! Just a bit moody. 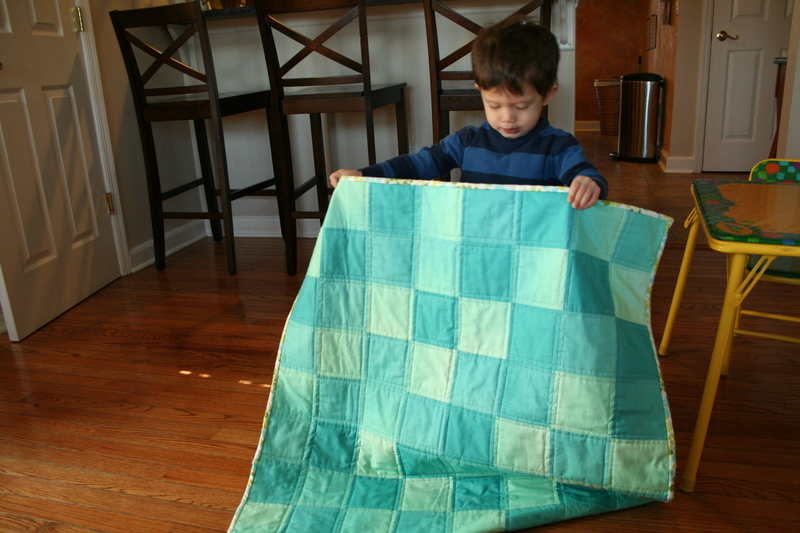 The quilt came out great and your helper is just the right height! Well done. Can’t wait to hear when class starts!! So excited!